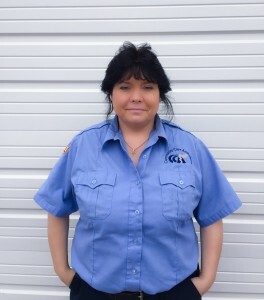 Dawn has worked for Community Care Ambulance (CCA) in Ashtabula, Ohio for 8 years. Dawn’s daily actions are a constant example of her dedication to her duties and profession. She always puts her patients first and is a voice of experience and reason to many of her coworkers. Dawn serves CCA as a Critical Care Paramedic, and takes on every task with passion, dedication, and a smile. She assists CCA in making progressive changes by maintaining professionalism, compassion, and respect for her coworkers. Her actions exhibited by her superior performance prove her to be a valued asset to our organization. She has deployed with CCA on natural disasters, and is continually receiving compliments from patients, facilities staff, and management. Dawn is a graduate of Community Care Ambulance’s accelerated Paramedic Program. She began her career as an EMT in 2007, and progressed to Paramedic and then to Critical Care Paramedic. Dawn is active with her family and glows with pride when discussing her grandchildren. She is a grandmother to four granddaughters, three of which are triplets. Dawn and her husband, John, are celebrating their 27th wedding anniversary in April. Dawn and John often spend warm summer days on their motorcycle, finding adventures and exploring new sites.